Gabby wrote me something of an explanation of how he came upon the Magical Garden of Fernand in Brittany, near Cancale. A little background first. 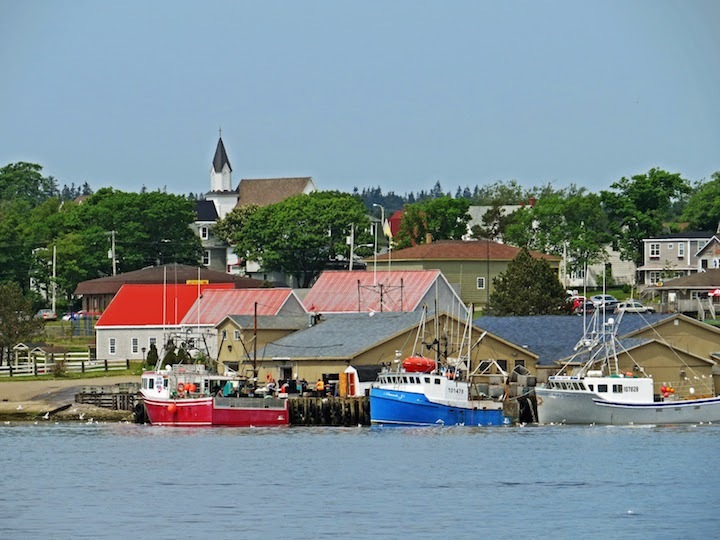 In the fall of 1979, after Gabby left the United Farm Workers, he and Young Emily spent slightly more than a month on Cape Breton Island in Nova Scotia. Cape Breton had been the first stop from France for Gabby’s grandfather on his eventual way to Wisconsin. Gabby’s father knew little about his family history and grandfather was long gone. Gabby was curious. 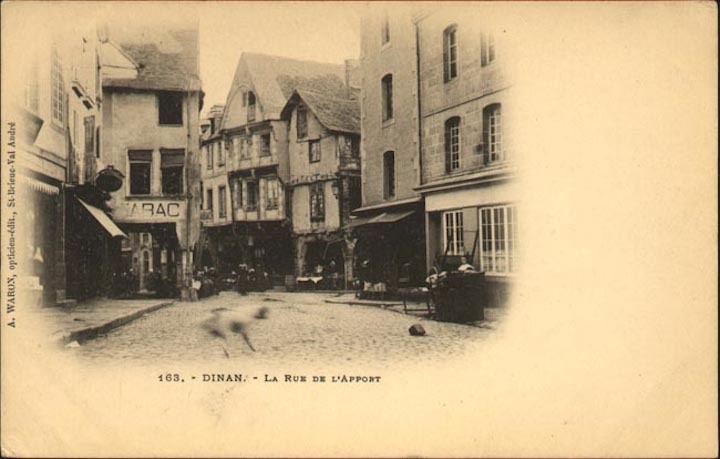 These postcards show Dinan as it was when Gabby’s grandfather left for the New World. Gabby and Young Emily and her mother Tavia, who still lived in the house on Baltimore Avenue in West Philadelphia, spent much of the summer of 2014 in Dinan. 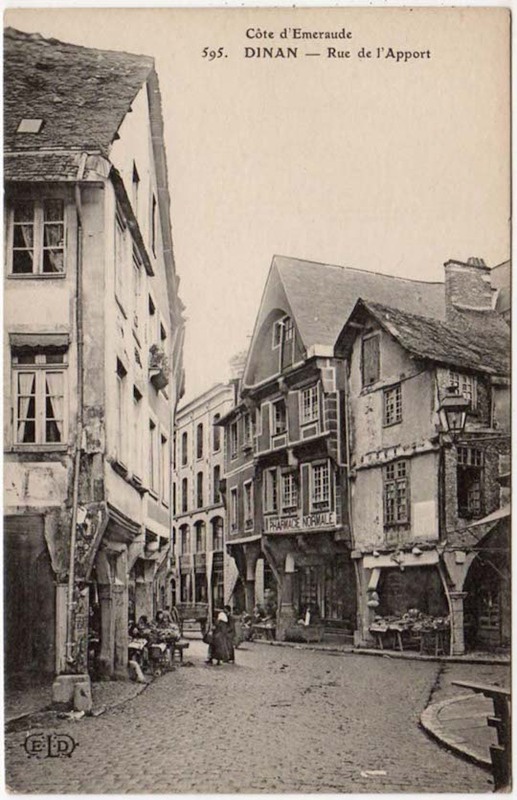 Marie-Louise, the oldest daughter of Gabby and Young Emily, had been living in the Dinan family home for a few years with her husband and children. Which makes Gabby and Young Emily grandparents which is just flat impossible to fathom let alone accept. In my mind, they still are and for all time will be the young Gabby and younger Young Emily of 1970, just kids. 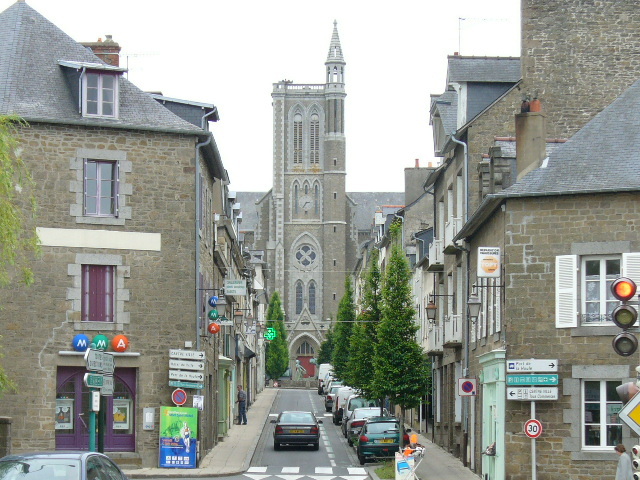 The focus for Young Emily in Brittany – Breton – was working on a musical analysis of Barzaz Breiz. 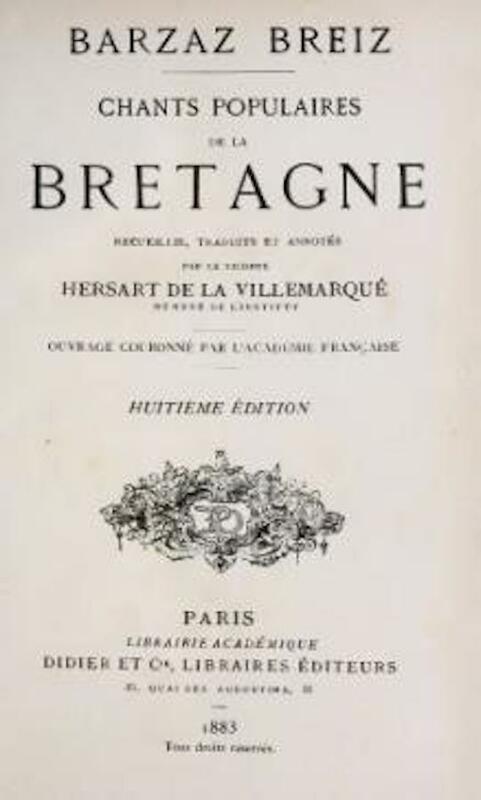 It is a collection of Breton popular songs collected by Theodore Hersart La Villemarqué in 1839. It purported to be a collection of traditional folk tales, legends, and music compiled from the Breton oral tradition. La Villemarqué’s work is notable – and of interest to Young Emily – because he recorded the music of the songs, not just the words. Controversy swirled around the book. In the 1860s and 1870s, Francois-Marie Luzel alleged that La Villemarqué had manufactured the songs from whole cloth. La Villemarque’s son Pierre de la Villemarqué defended his fathers work. 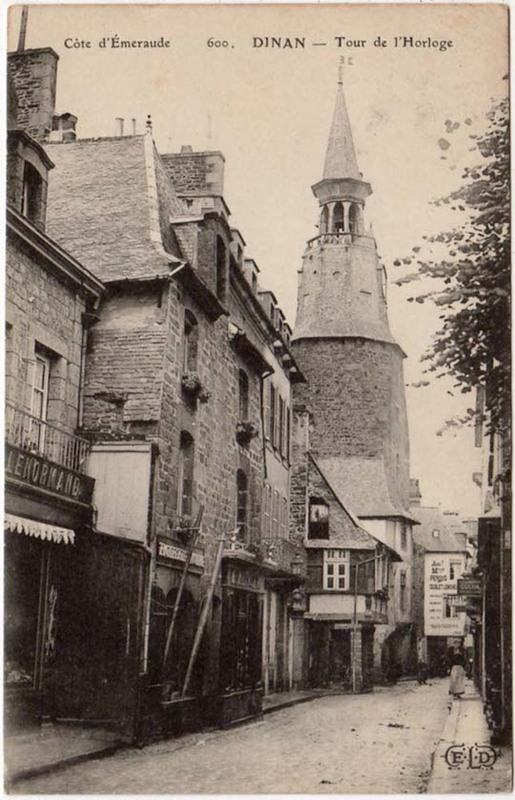 In 1960 Francis Gourvil argued that the Barzaz Breiz was a forgery. In 1974 Donatien Laurent, the first scholar to work with La Villemarqué’s notebooks, rejected the harshest accusations, but concluded that La Villemarqué had cleaned up and enlivened the text. So far, all analysis of the Barzaz Breiz focused on the words of the songs. No longer. 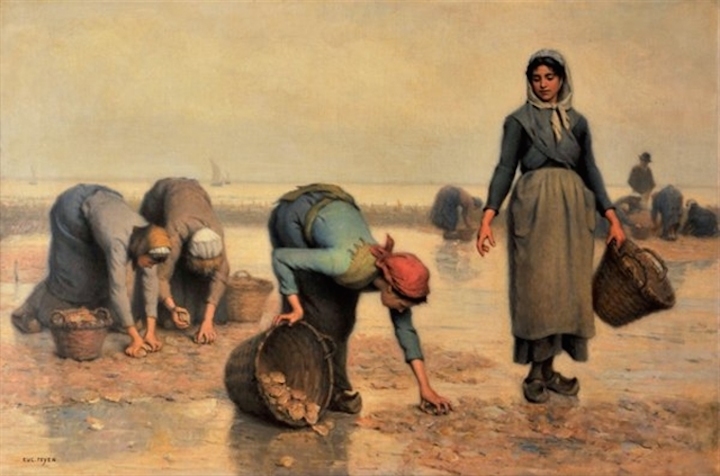 Young Emily was approached by a man of wealth in Brittany and asked to make an analysis of the authenticity of the work based not on the words, but the music. 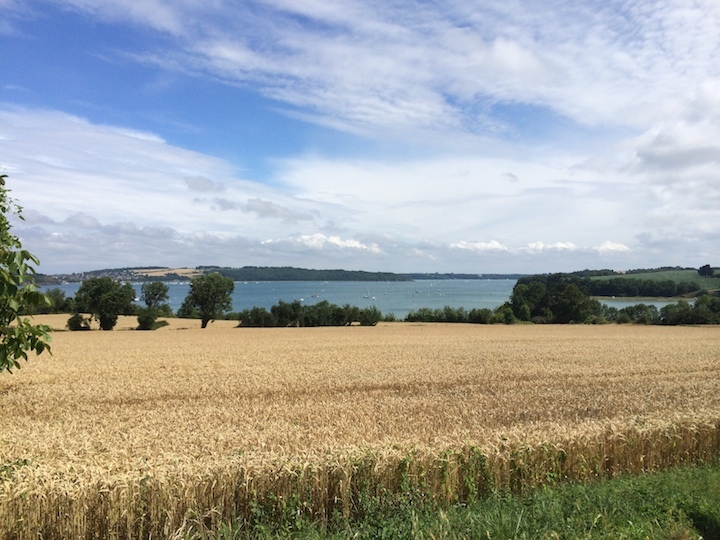 Which is what she was working on in Brittany, analyzing the musical notations by La Villemarqué from his original notebooks, looking for proof of authenticity or not. 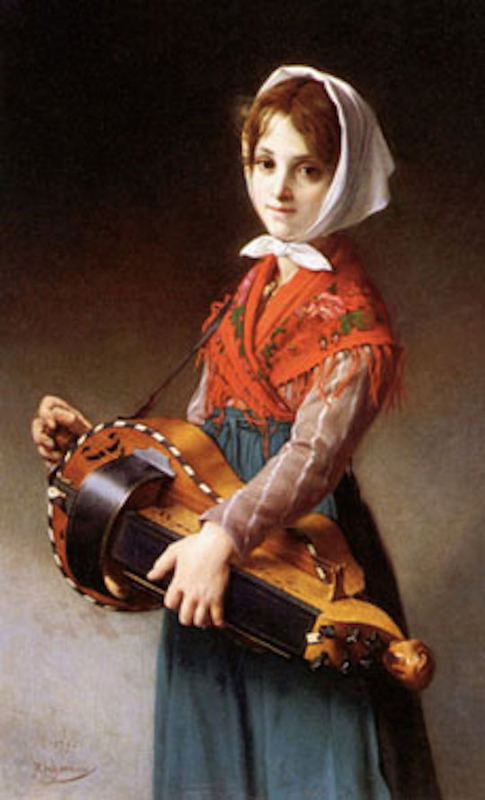 Her work shoved her into an understanding of the traditional musical instruments of Breton, right up her alley. And while right up that alley she immersed herself in the hurdy gurdy. 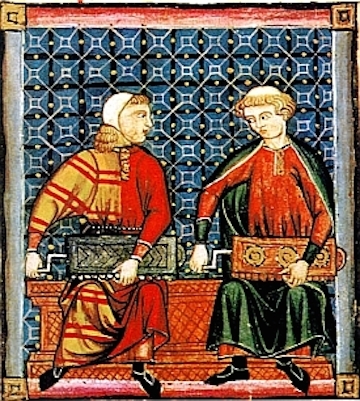 The hurdy gurdy is a stringed instrument. A crank-turned wheel rubs against the strings. The musician plays on a keyboard the presses wedges known as tangents, against the strings. There are multiple drone strings, giving it a sound not completely unlike that of the regional bagpipes. It was by no means unique to Brittany, but at this moment it caught Young Emily’s attention. She had one or two examples in the Jean Beck collection of instruments that she had more or less been given in totality by his grandson over the years, but she had never really tackled the instrument in all its variants. And, predictably, her work with the instrument incited Gabby to search out and acquire every hurdy-gurdy postcard he could find. 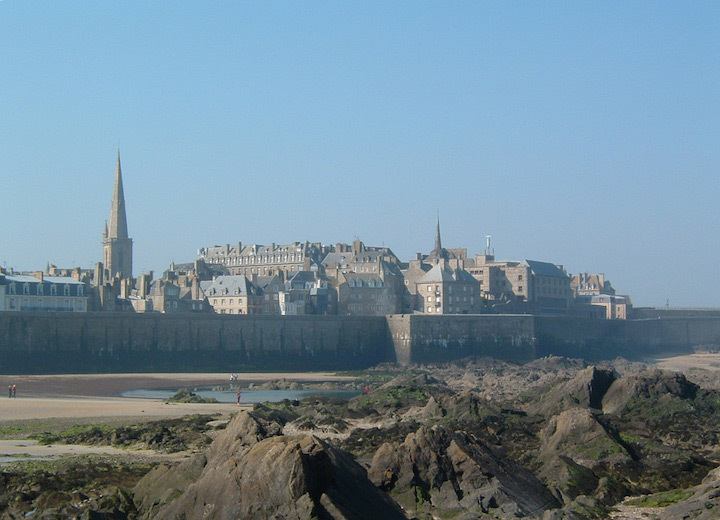 For Gabby, the nearby walled city of St. Malo was a source of fascination. 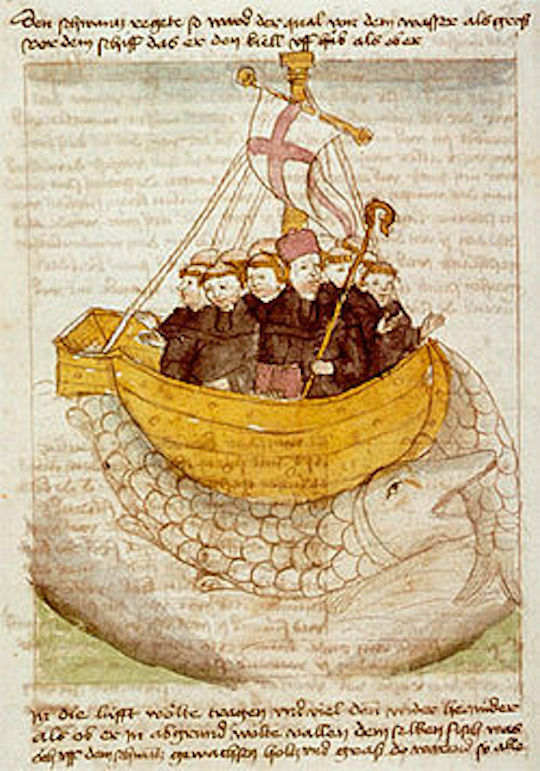 Tavia had some interest in the man Saint Malo, and his adventures with Saint Brendan, as well as the other of the seven saints who founded Brittany. His main activity, though, was a careful and repeated listening to the complete work of Van Morrison, reading and rereading and annotating When That Rough God Goes Riding by Greil Marcus, and figuring out the chords to every song. Every single song. Kind of a teenager thing to do but, I will say, much harder than it sounds. 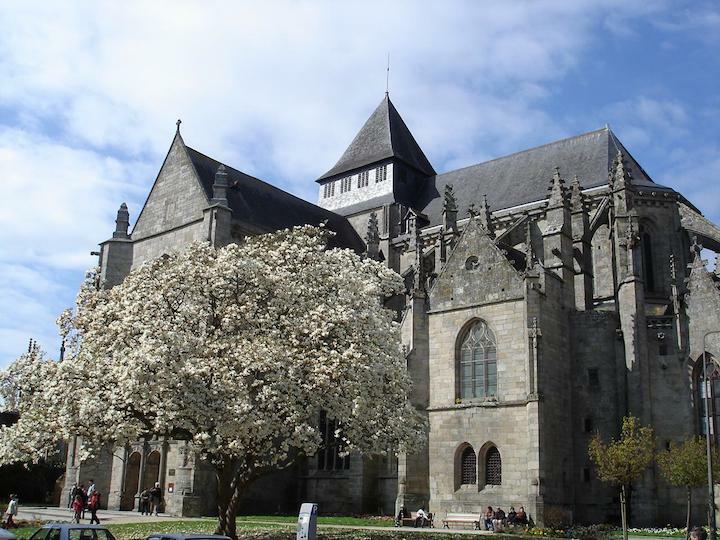 Tavia, as ever, was drawn to the churches, especially the Church of Saint Malo in Dinan. She was used to drawing out the history and secrets of churches that were at most a hundred years old. Here she had a field day. 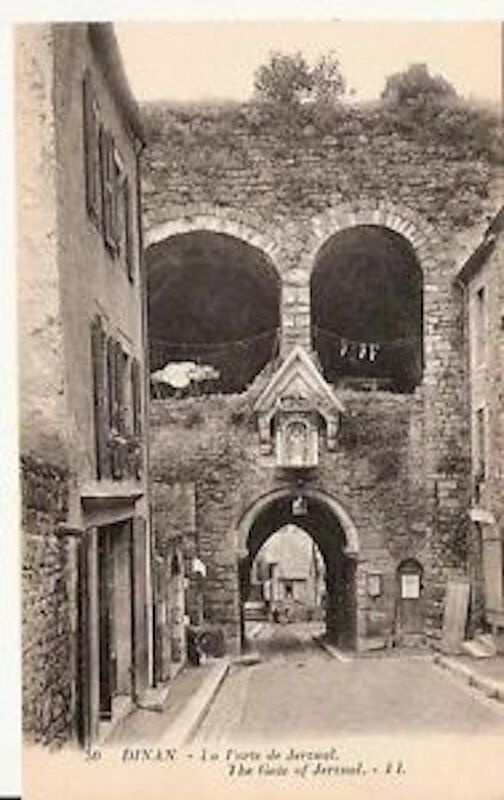 Lots of history and lots of secrets, and let me tell you medieval secrets put our modern secrets to shame. 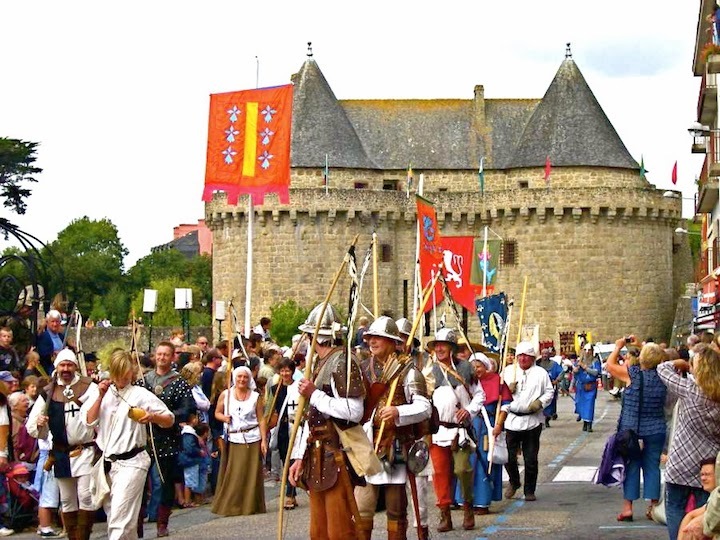 If there are two days of the year when you do not want to be in Dinan, they are the days of the Fête des Remparts. The Festival of the Ramparts. Crazy crowds. 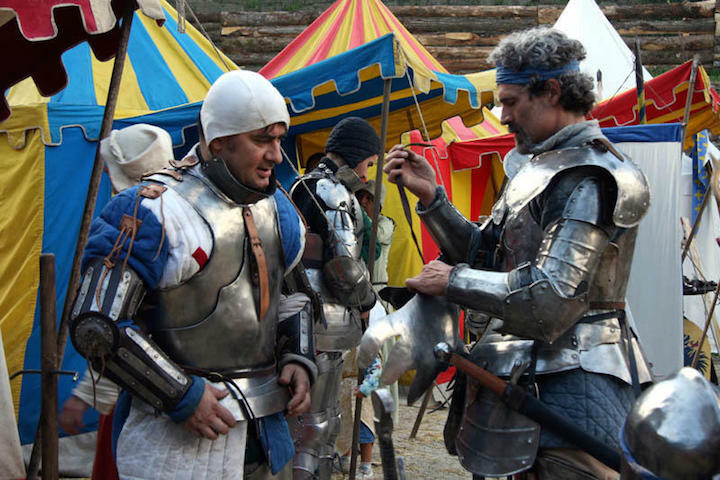 Medieval reenactment that makes our Civil War reenactments seem sane. Time to leave town! 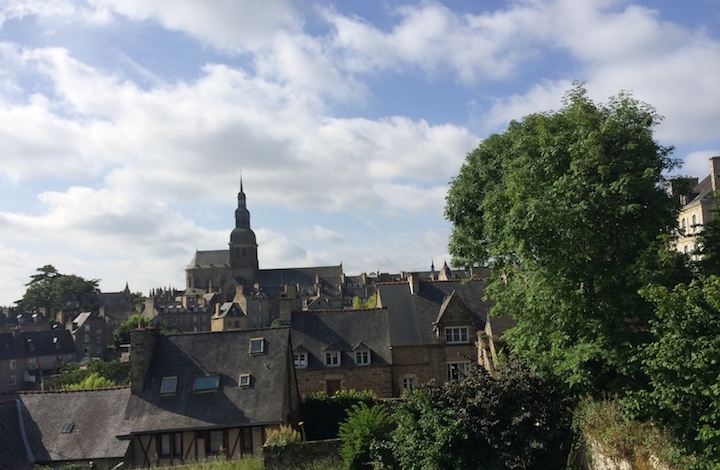 And so it was that we got the hell out of Dinan for the weekend of the Fête. Tavia and Marie-Louise’s oldest and I went to Cancale. 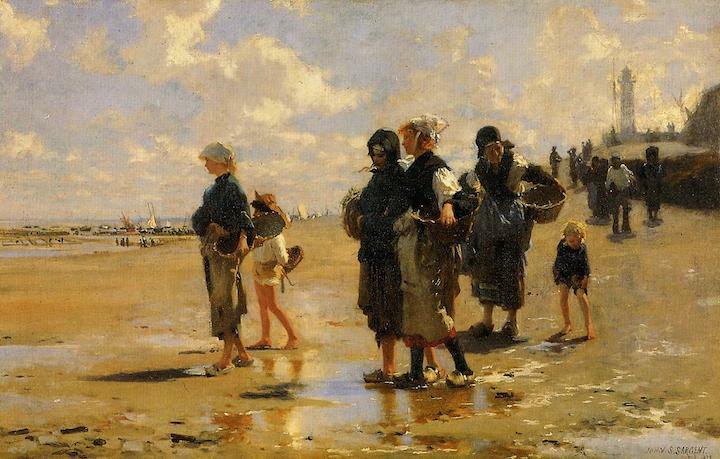 Singer’s painting of Cancale’s oyster gatherers is the best-known in the United States. In France, the many paintings and sketches by Jacques-Eugène Feyen are better known and more beloved. In my book, they are both pretty right on. 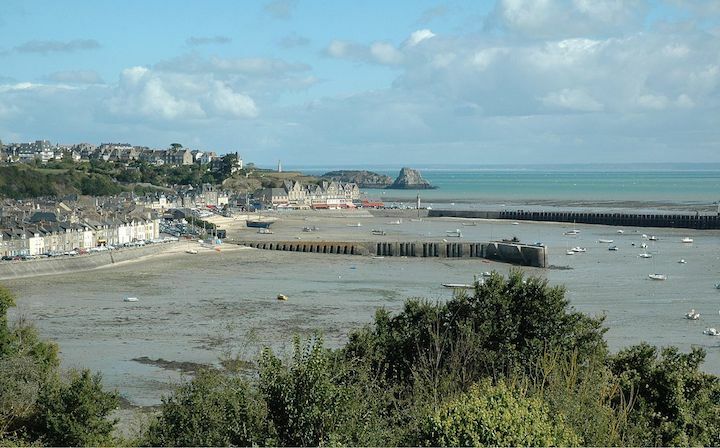 But you get the picture – Cancale is all about oysters. This is the city from a distance. Our first destination in Cancale was the Church Saint-Méen. 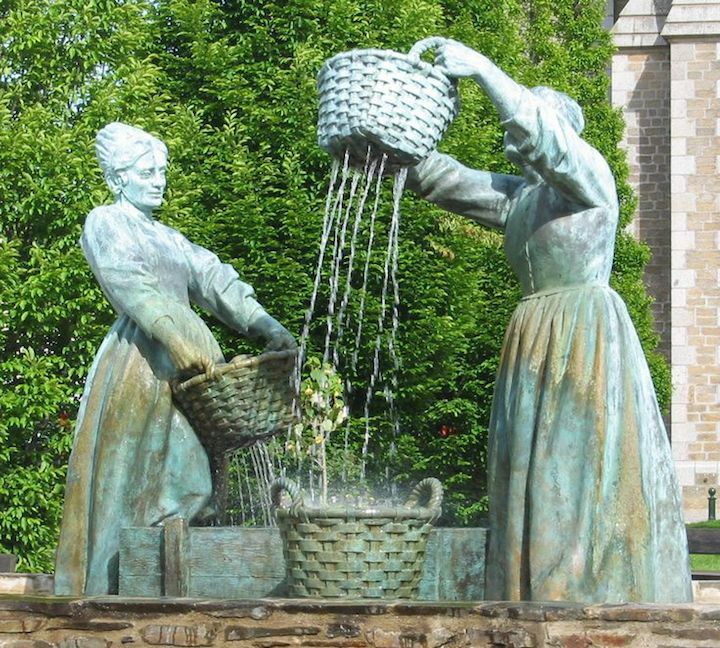 In front of the church is a statue of women washing oysters. Inside the church there are frequent celebrations of fishermen and fishing, with an entire alcove dedicated to fishermen of Cancale lost at sea. 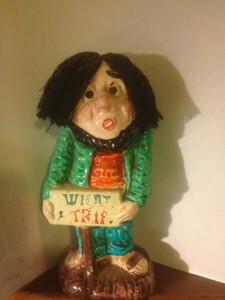 So – you see – that is where we were headed. We chose one-lane back roads, and on one of these one-lane back roads we came across Fernand’s Magical Garden. 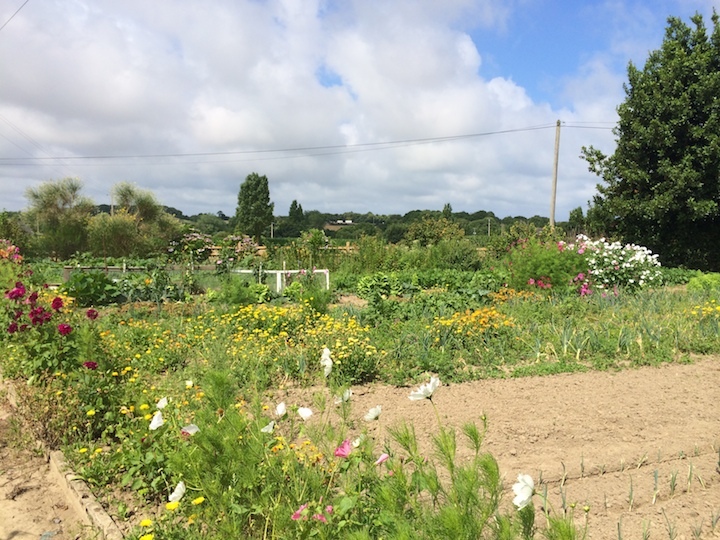 After we toured the magical garden, Fernand sat us down in the shade next to his flower and vegetable garden. He sliced us peaches, poured us wine, and we passed an hour talking. He didn’t understand most of what I said first time through, and likewise me him. But it worked. We admired his flowers and he cut a large bouquet to take home with us. And then we went to Cancale, safe from the jousting and swords of Dinan.